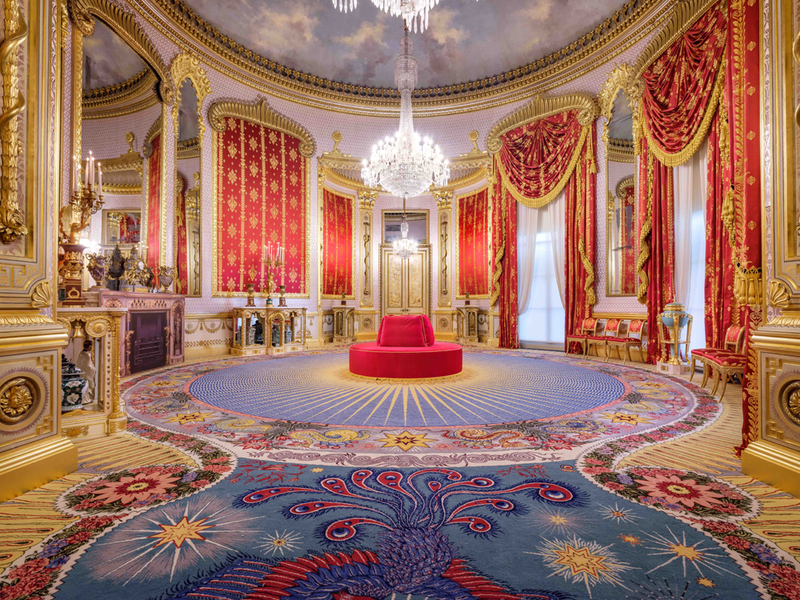 Decorated for King George IV in 1823, the Saloon at the Royal Pavilion, an ornate centrepiece of Brighton’s famous royal palace by the sea, has been returned to the dazzling splendour of its original interior design at a cost of £390,000. It is the culmination of ongoing conservation work taking place since 2004. In 2002, glimpses of the designer Jones’s silvered leaves scheme were revealed on the ceiling of the saloon during work to address a water leak. The reinstatement of this design in the recess opened up the possibility of a complete and faithful restoration of the Saloon to its original appearance in 1823, as recorded in a water colour by AC Pugin for John Nash’s book, ‘Views of the Pavilion’. George IV commissioned Robert Jones to create a radiant principal reception room, conveying his regal splendour in gold, silver and crimson. The Saloon was a landmark in exotic design, topped with a towering dome. It has been closed to the public for three years while work to complete this complex restoration project has been carried out by a team of conservators, restorers and craftsmen. The circular room is awash with gold and silver and each element has taken hours of historic research to restore the room as close as possible to the original design. The specially woven red and gold drapes were designed after a series of chance discoveries, including a lost piece of fabric and a long-lost photo. Humphries Weaving made the silks for the drapes and the wall hangings, using over 4000 miles of silk. Painstaking detective work led to a vibrant carpet which took months to design and is the most lavish ever created by Royal carpet makers Axminster, the same company which made the original carpet for £620. The new carpet incorporates 20 dragons, 100 sun rays and 274 lotus leaves, and cost £60,000, funded through grants, and public and private donations. 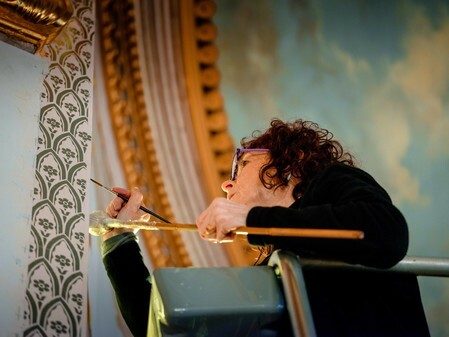 The walls glimmer with 12,000 hand-applied platinum leaf motifs – each one placed individually and painted with shadows by a team of three conservators, a task which took a staggering two years. The work often involved ten hour days spent on a mobile scaffolding to enable the team to reach the ceiling.